The Rapa River Gem & Mineral Show is located at 292 South Freeway, Tucson, Arizona, in between the Days Inn and River Park Hotel. We are located in a prime vendor location west of the Tucson Convention Center on I-10 frontage road. To find out more about space leasing rates, please click Leasing Information. 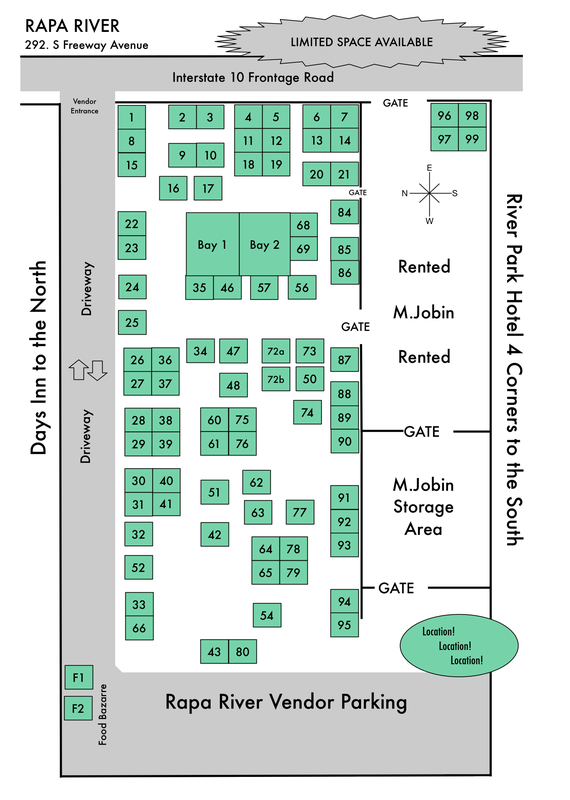 To view and print a larger 2019 map and Vendor list click here. Copyright � 2008 Rapa River, LLC.